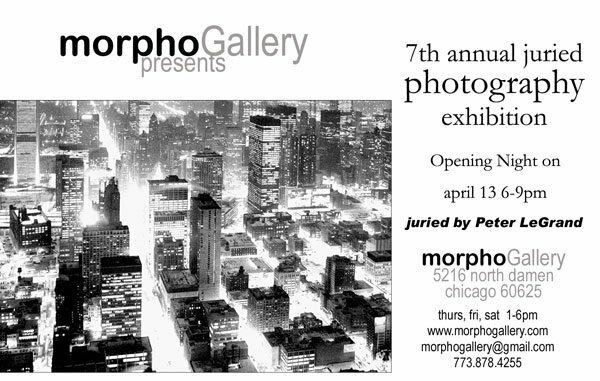 I'm very happy to have been selected as one of this year's artists appearing in the Morpho Gallery's 7th annual photography exhibition. You'll find a selection of my work on display at the gallery from April 13th to May 3rd. There will also be an opening reception and awards on April 3rd, from 6pm to 9pm.